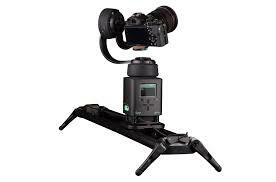 We’ve teamed up with Syrp who will lend us a whole variety of automated heads and sliders for our workshops. We'll be working on static time-lapses, creations with multi-axis slider movement, and much more... It's going to be a thrilling evening. Limited to 6 people, spaces filling fast! Been & Gone. We are organising new workshops here soon! Courses run overnight with shooting in the evening and editing over breakfast in the lodge. Please sign up to the newsletter to find out about future events. Been & gone, we are organising new workshops here soon! Two and a half days, two nights. Check-in Friday any time from 4pm. and one double bed retro caravan (inside the atrium). Rooms are allocated in order of reservation. Equipment rentals available with a discount through Topic Rentals. Just mention you’re on our workshop. Minimum of 5 required for event to proceed. In the case of heavy rain we will offer a refund or the chance to defer to another workshop. Learn to photograph the night sky and Milky Way just one hour from the CBD. Full tuition in camera settings and image editing, using Lightroom, Photoshop and More. Photograph the milkyway arching over a stunning waterfall! Been & Gone! Stay Tuned for future workshops! Learn to photograph the night sky and Milky Way just 50 minutes from the CBD.